Have you ever looked at your LinkedIn dashboard? Even know where to find it? Don’t worry if you’ve never paid attention to it, or even noticed it in fact. We’re all busy and it’s just another thing to do; some more numbers to think about. As if there weren’t enough! But, don’t write your LinkedIn dashboard off. I hope I can simplify this for you so it doesn’t take up too much time but gives you some valuable insights that will help your business. There are some useful things to learn here, particularly if you use Linkedin strategically to grow your connections and find new business. If you head to your LinkedIn profile, you’ll find your dashboard underneath your summary and above your articles and activity. Let’s run through the three sections one by one. And remember it’s only you that can see this, no one else. How many people have found content you’ve published interesting enough that they want to learn more by looking at your profile. If you’ve optimised your LinkedIn profile and have a strategy, you can expect this figure to increase. As you make new connections and publish engaging content, you can bet your bottom dollar that more people will be coming to look at who you are and what you do. And that’s always a good thing! If you click on the blue to view more detail, you’ll see when those profile views have appeared in the past 90 days and can perhaps identify if it aligns with anything you’ve been doing – perhaps a networking event or specific campaign. You can also see who some of these people were. I don’t use LinkedIn premium as I’m not that bothered to know each individual who has looked at my profile – I generate regular enquiries for work via LinkedIn so am happy not to pay at present. But if you’re a big LinkedIn user and this information is particularly valuable to you, you might want to upgrade and pay the £39.99 per month with Business Premium. If not, think about optimising your profile so that it’s easy for people to get in touch with you and make their customer journey as smooth as possible. This figure shows the total number of views from your latest post or video. It’s arguably more useful to scan your latest few posts to see the total views of each one so you can start to understand which content is most engaging with your followers. Click on the number to see your latest post and the total views, before scanning down to see how it compares with previous content. Annoyingly, and I’m not sure why this is, LinkedIn don’t show all post views going back chronologically – just the latest few. One thing I’ve noticed when looking at my post views is the last few video posts I’ve published have generated significantly more views than photo/link/text only posts. Perhaps try publishing video content and see if you see the same? I think this section is the most useful, particularly if you’re hoping to build a network of professionals you hope to maybe do business with. By optimising your profile with specific keywords, you can hope to be found when someone is searching for a person with your skills and expertise. You’ll see how many times your profile has appeared in someone’s search results in the past full week and, if you update your headline and summary, you may see this number increase as you start to hone in on the right keywords. Furthermore, you’ll notice that you can delve further by seeing which companies these people work for and what their job titles are. If your results show ‘recruiter’ you may wish to check your settings to avoid being found by recruiters – and reduce the annoying messages of course! On our LinkedIn course we show you how to optimise your profile for certain keywords so you can be discovered by prospective clients who are looking for your services. The dashboard allows you to see which keywords you are being discovered for and you’ll see whether your profile is working for you and developing those inbound leads. Learn more about how to optimise your LinkedIn profile here. 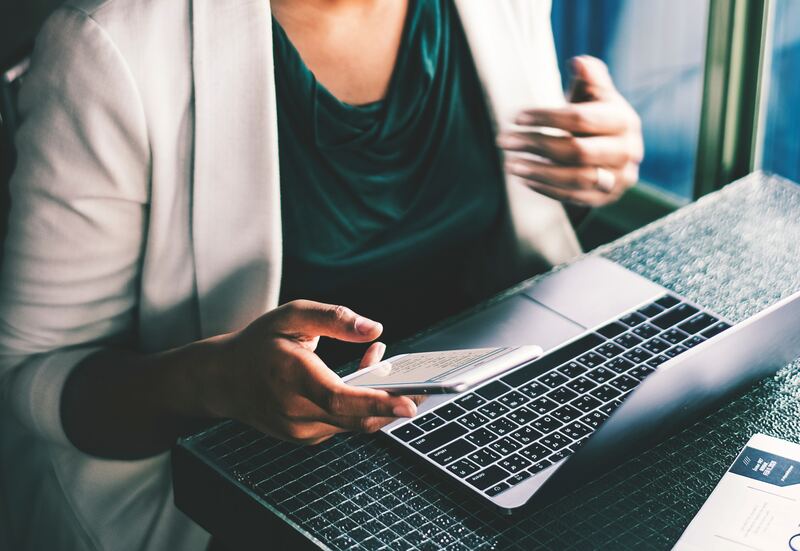 A powerful content strategy is key to generating engagement on LinkedIn once you’ve connected with someone. So look at the content that performs best and build yourself a content plan that matches the needs and interests of your target audience. Focus on becoming a thought leader in your field and adding value to your followers. Understanding the kind of content that works best on LinkedIn is essential to increasing your reach and building engagement. If you’re finding and connecting with your target clients or customers on LinkedIn you’re doing something right. But we all want more inbound leads, so check your dashboard to see the people who are finding and viewing your profile to ensure it’s aligned with your LinkedIn strategy. 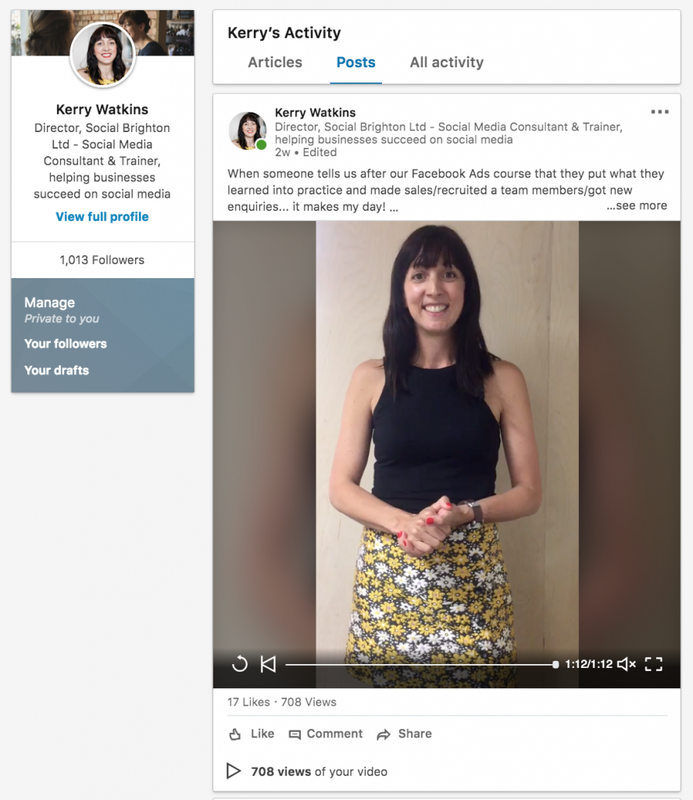 If you’d like to learn how to optimise your LinkedIn profile to be discovered by the right people and build a LinkedIn strategy to grow relevant connections and have a winning content plan – check out our LinkedIn course. If you’ve any questions about our LinkedIn course, please feel free to ring me on 07766 310317 – Kerry. Newer Post Podcast: Episode #2 – What’s New in social media ? | August 2018	Older Post Podcast: Episode #1 – Getting to know us!